Harpiste américaine originaire d’Atlanta, installée à Reykjavík, elle fait partie de l’Iceland Symphony Orchestra. 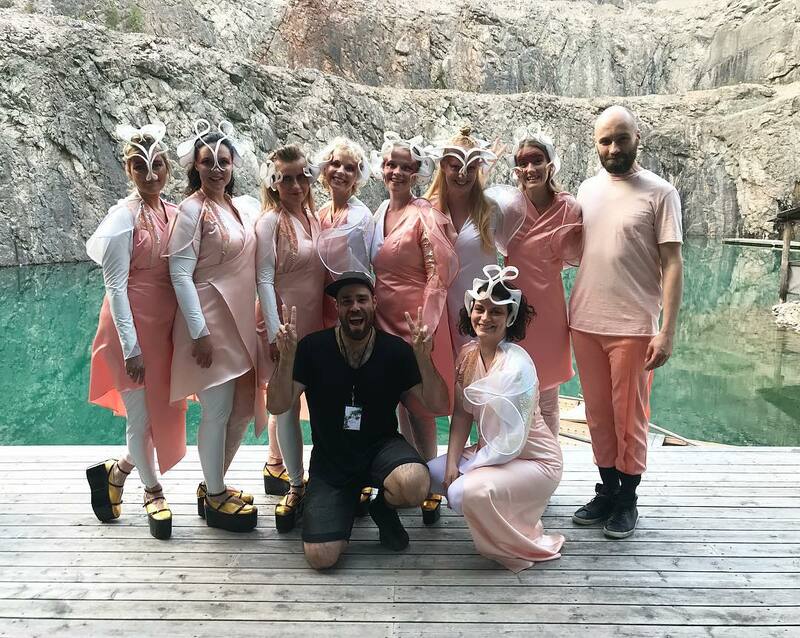 Let’s dive right in – I know you play with the Iceland Symphony Orchestra, and that Björk is Icelandic, but I’d love to know how you two got connected ! First, I must say, Iceland is really very small. Total population is around 330,000. I was contacted by one of her managers to send over my resume. She works with a lot of Icelandic musicians (or, in my case, residents of Iceland !) so, I really think it was just my luck of being here. There is so much harp on this album – the song “Blissing Me” is essentially a marriage between harp and singer. What was your role in crafting the harp line ? How much input did you have (or wish you had !) over your part ? Björk was definitely the composer. My role, besides playing, was a bit of editing. This is in my comfort zone because I work with composers writing new music so often. The part is comprised of several harp parts. Originally it was a harp trio, but, because of the difficulty of some of the parts, we felt it worked much better as a quartet of harps. We all know how composers struggle with writing for the harp, so really, I just made everything playable. I also suggested a few edits to make passages more “harp-like.” Then we recorded each harp part separately. Both “Blissing Me” and “Arisen” were recorded over two years ago, so I actually had no idea if they would even show up on the album. It is always possible that things go in a different direction. The final harp part on “Loss” was recorded this past summer and was just one harp line to go along with the flute choir. So you recorded some parts for this album over two years ago, but didn’t get to hear it until recently ? Can you talk a little bit about how hearing it for the first time made you feel ? Is it different than what you were expecting ? It was weird. I knew the album was coming out, and that at the very least, there was harp on “Loss.” One morning, I woke up very early and suddenly she had released “Blissing Me.” I had only heard the song from my harp parts, so I had no idea what it would be like. I was completely surprised and quite excited by how exposed the harp was ! I’ve recorded albums with other artists and I’m always completely shocked by either how little or how much harp there is. When you’re just recording with click track, you really just have no idea. I have done a lot of wonderful things here in Iceland, but this is one of the coolest !